Longtime collector W.G. 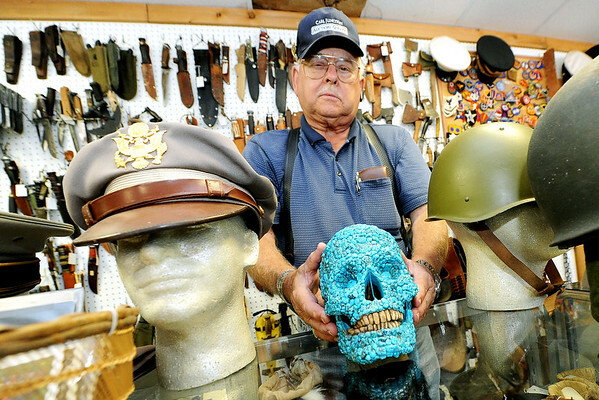 "Trip" Triplett, of Circle T Collectibles in Carl Junction, holds "Skully," a skull encrusted with seafoam turqouise crafted by a Najavo Indian somewhere between 1880 and 1920. Triplett began collecting Native American and military artifacts 71 years ago and has countless items at his store and his home.